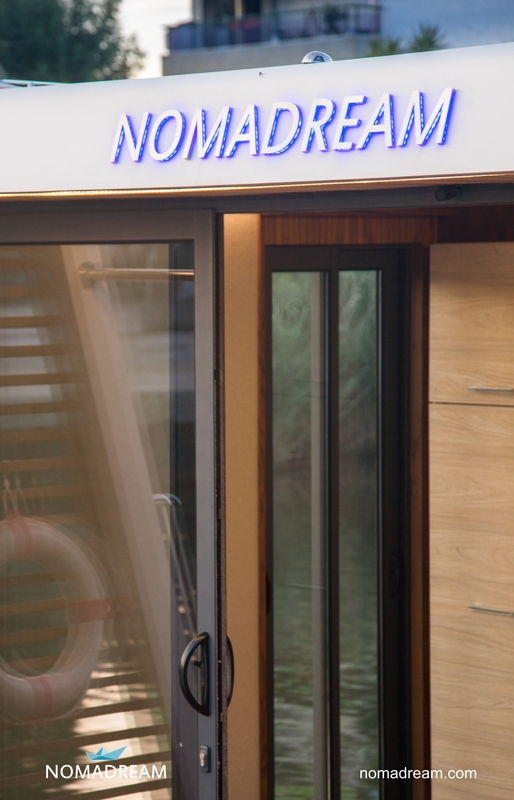 Nomadream houseboats and mobile homes were created so that you can experience freedom to the fullest. 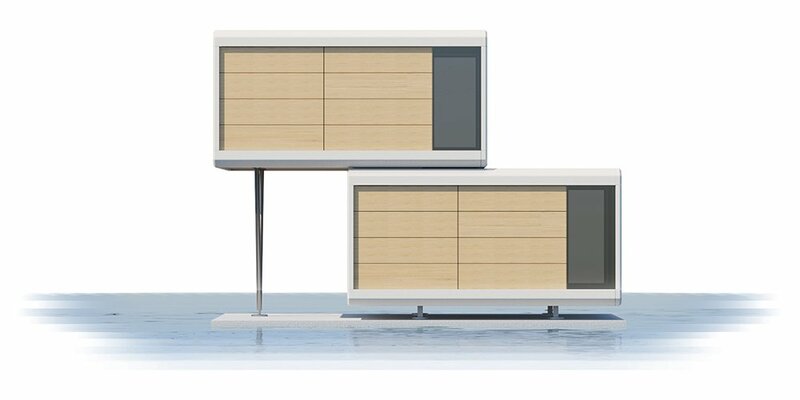 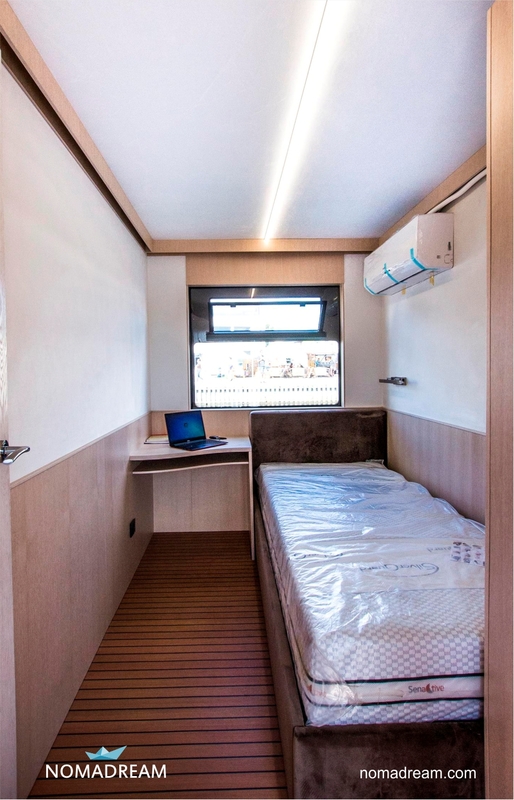 They are spacious, fully personalized units for recreational purposes, stable and safe in all weather conditions. 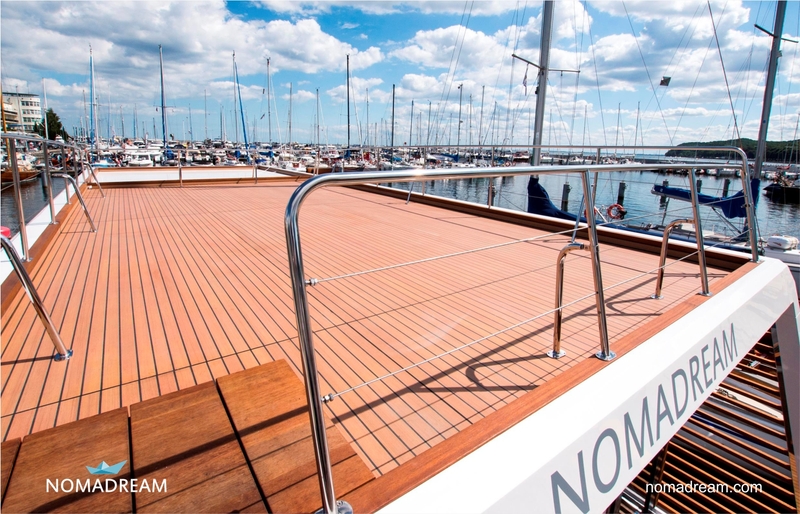 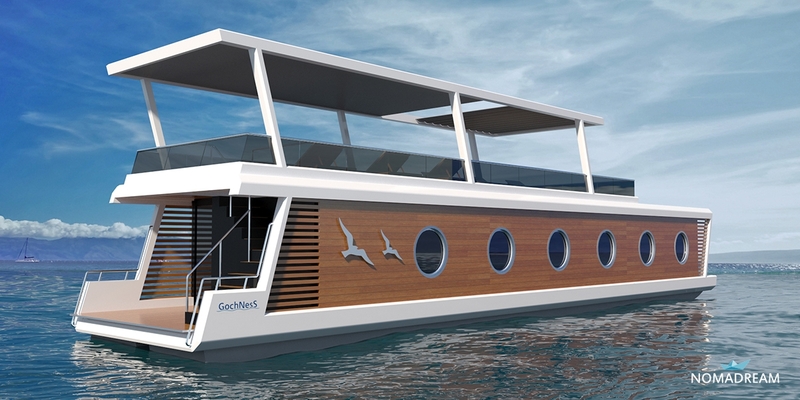 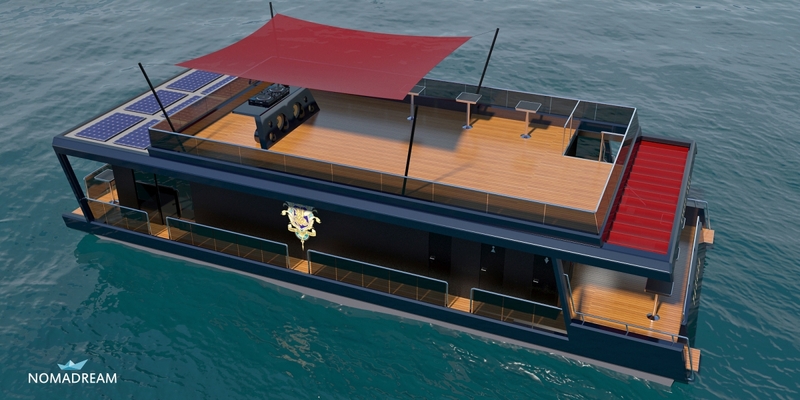 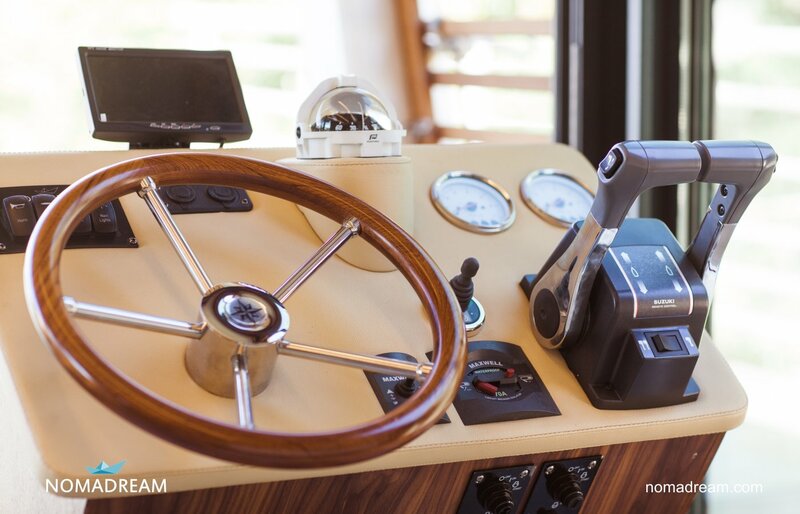 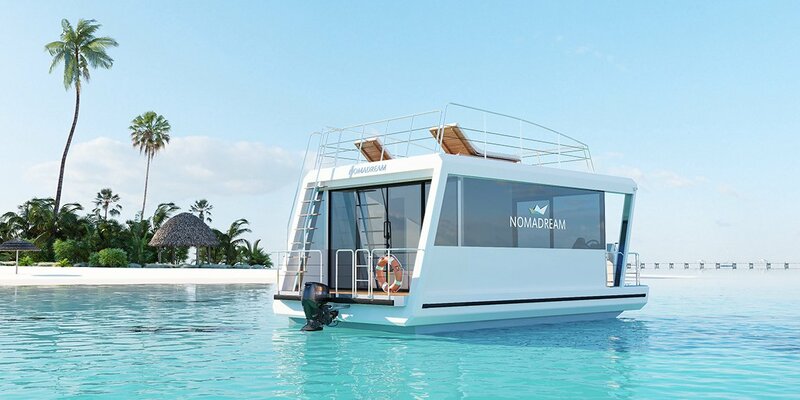 Nomadream is a great choice for both charters and private use. 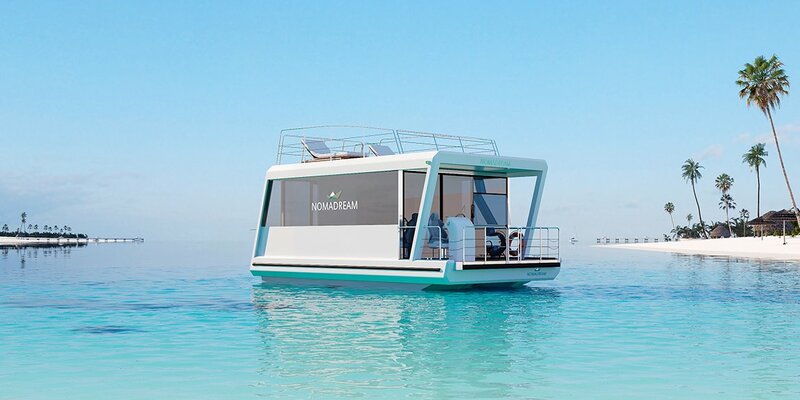 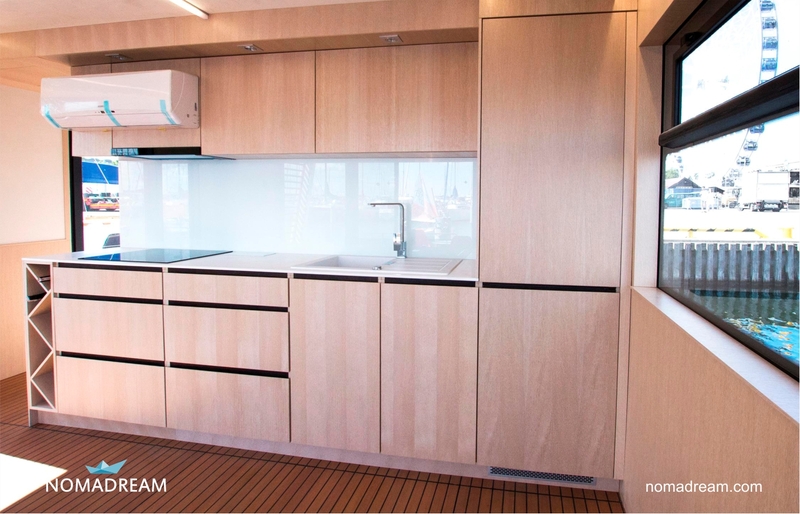 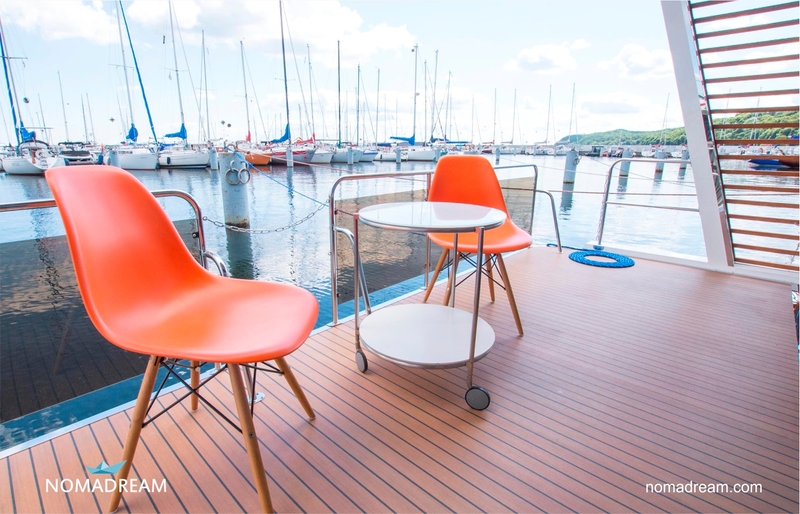 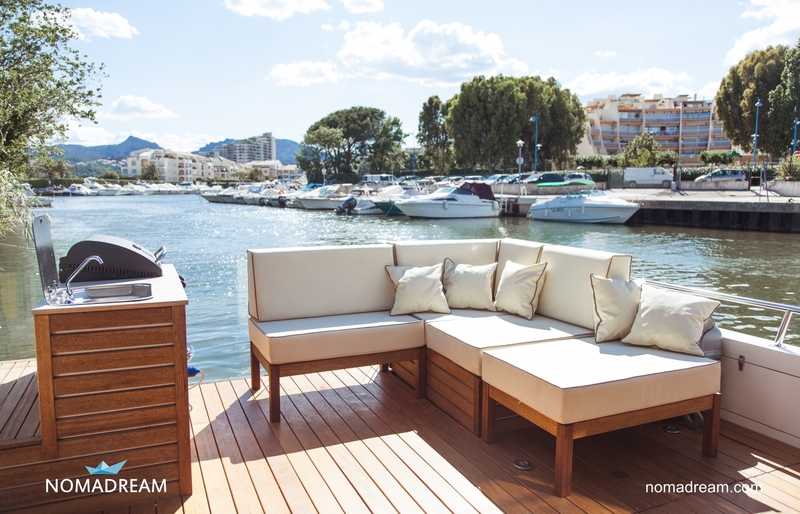 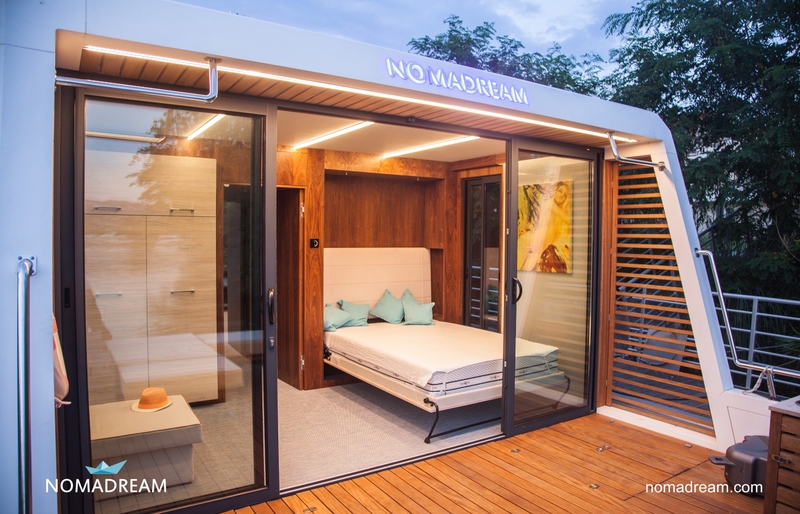 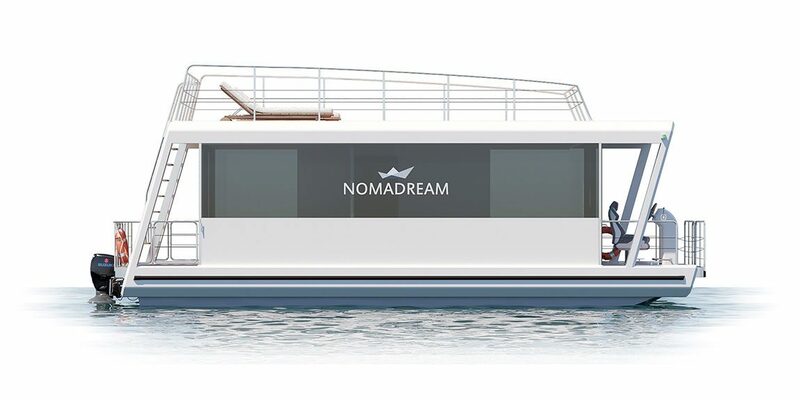 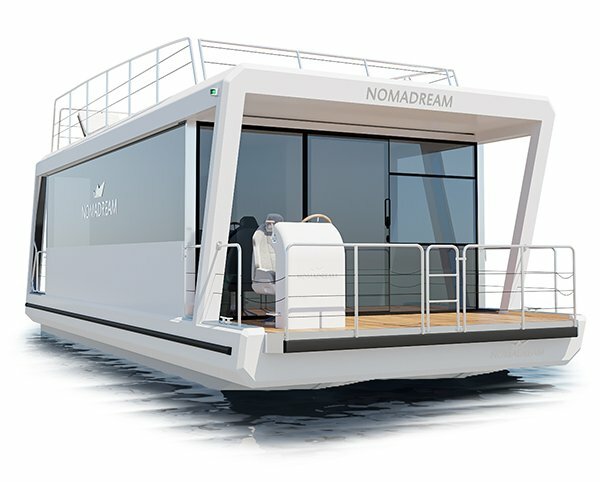 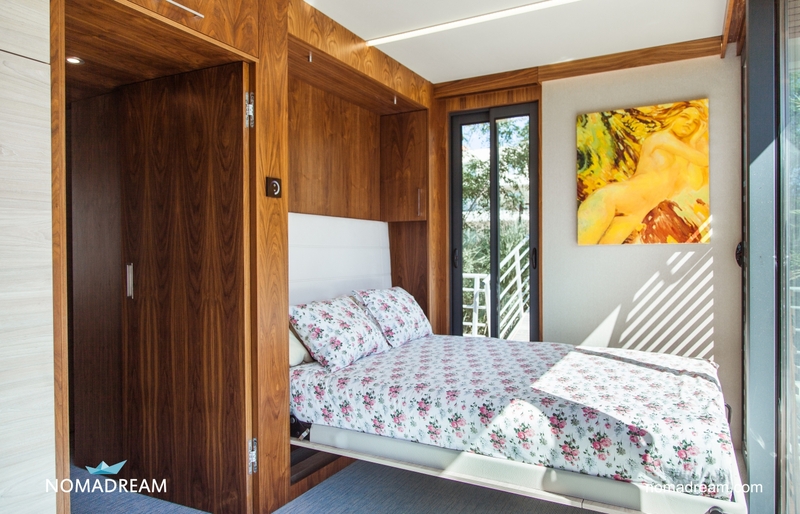 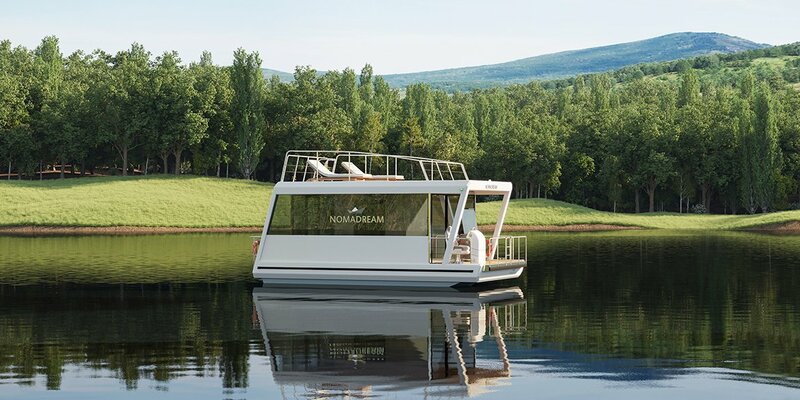 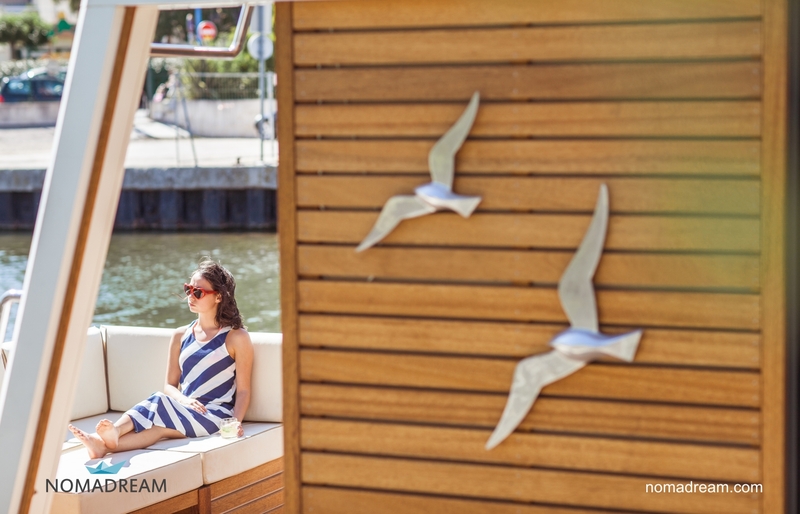 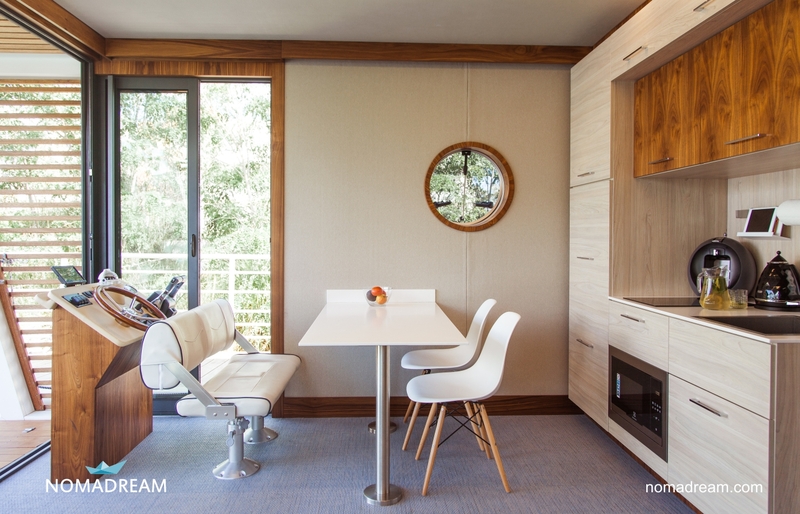 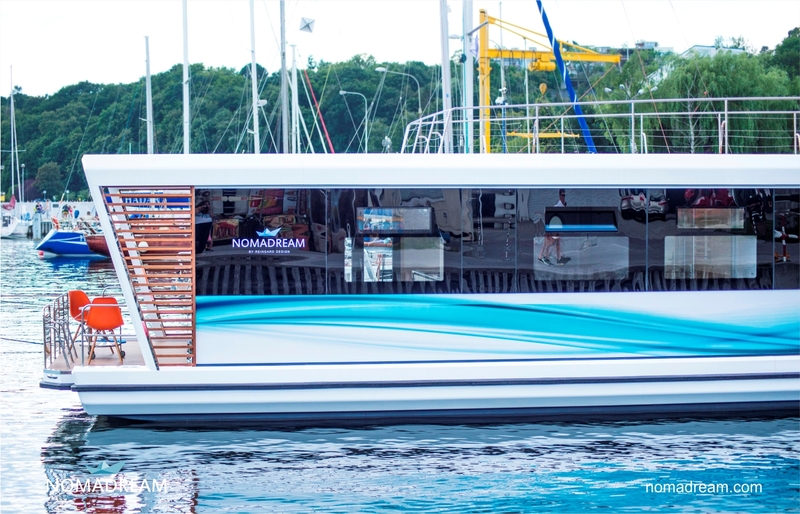 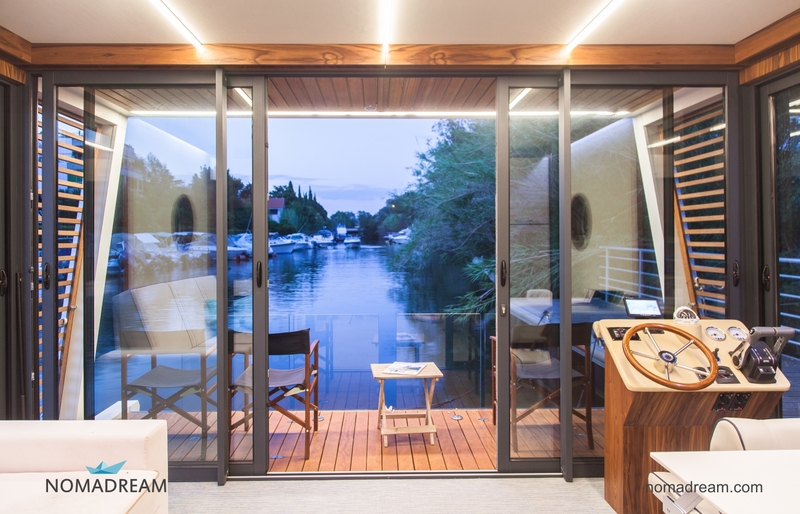 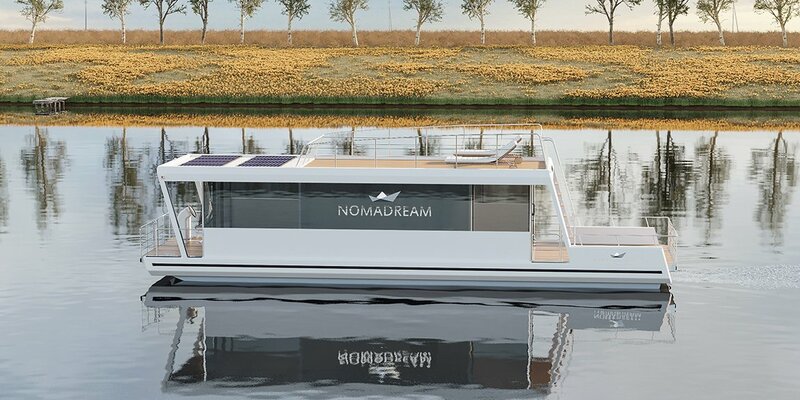 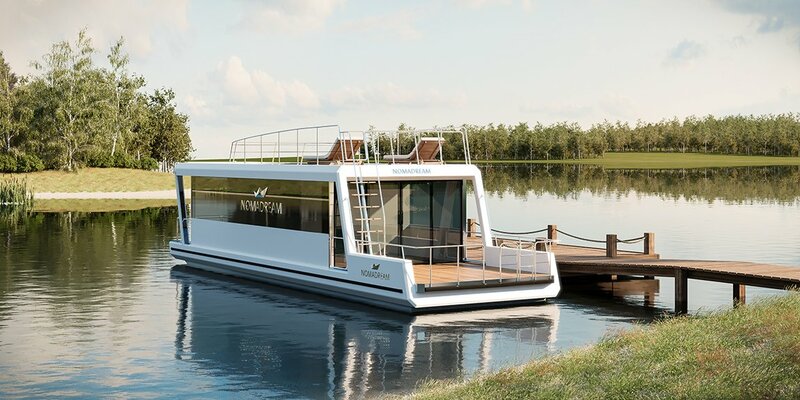 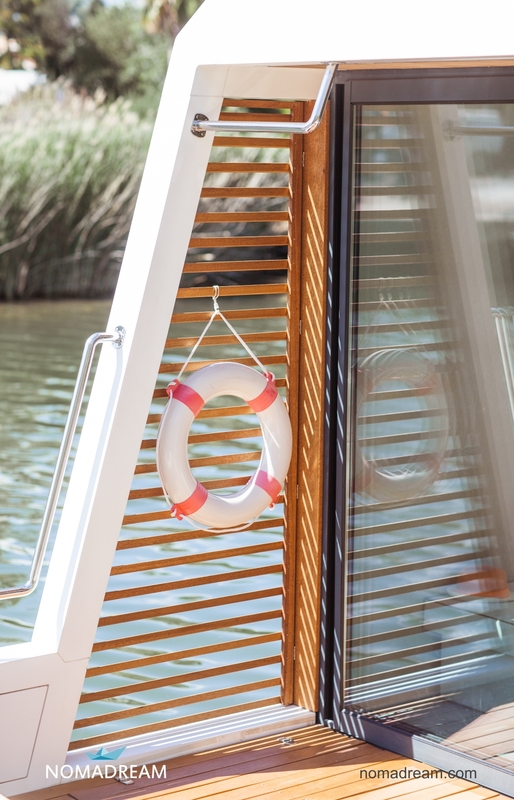 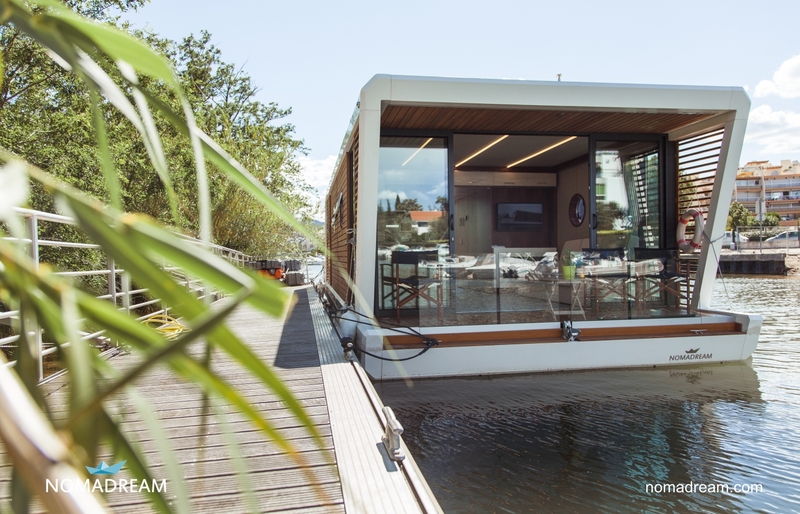 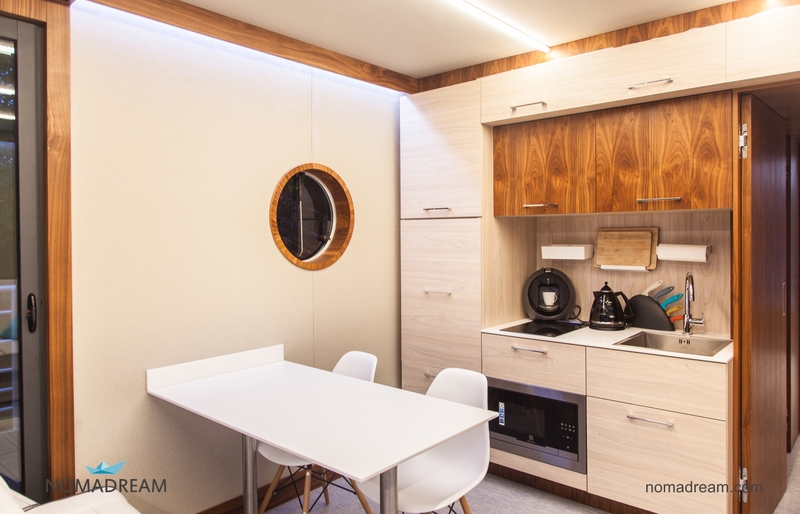 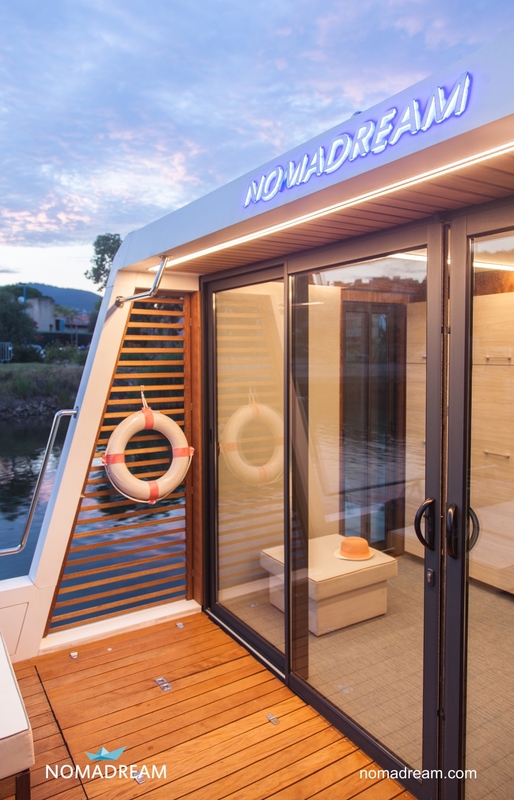 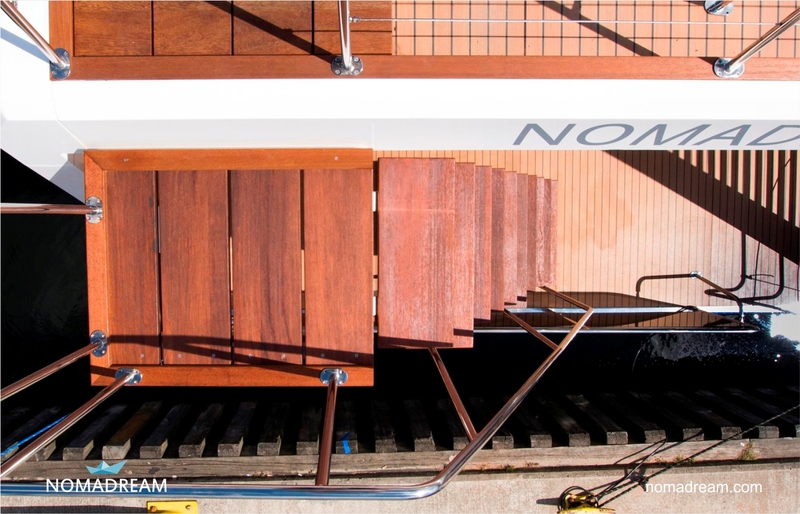 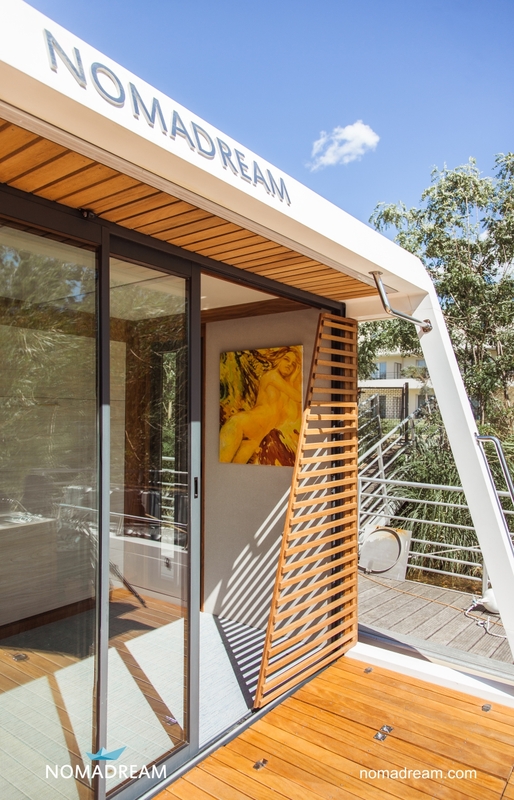 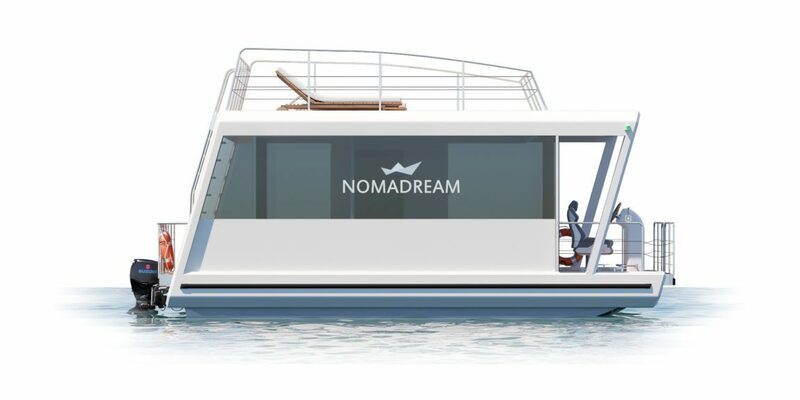 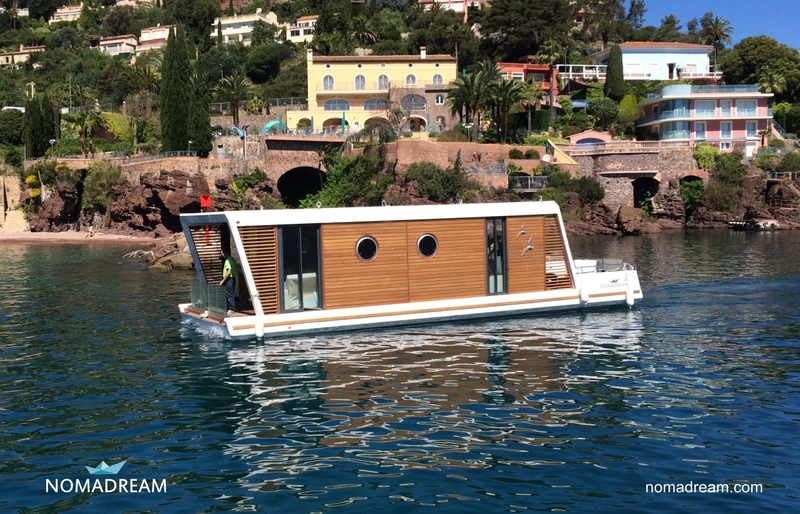 Nomadream’s innovative approach to modern living is expressed in producing a professional, comfortable and fully customizable houseboats and mobile homes. 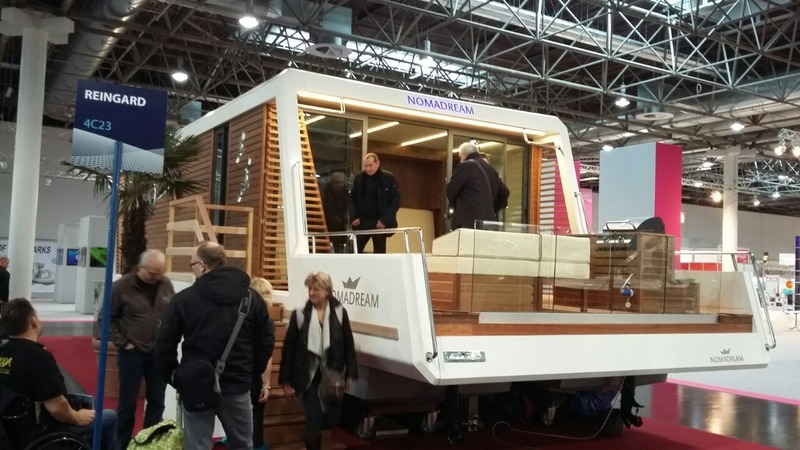 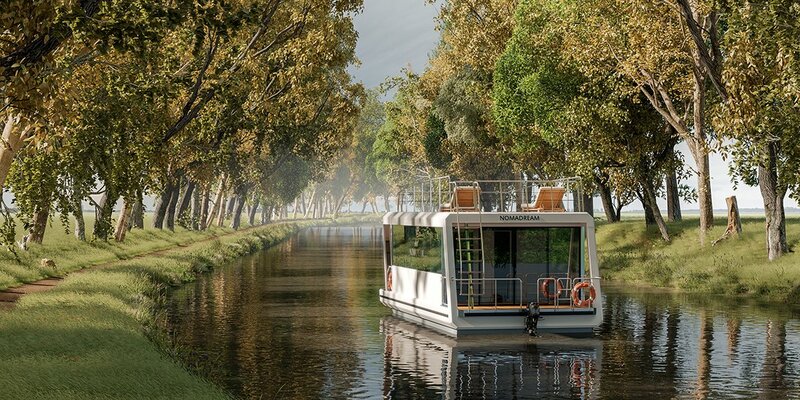 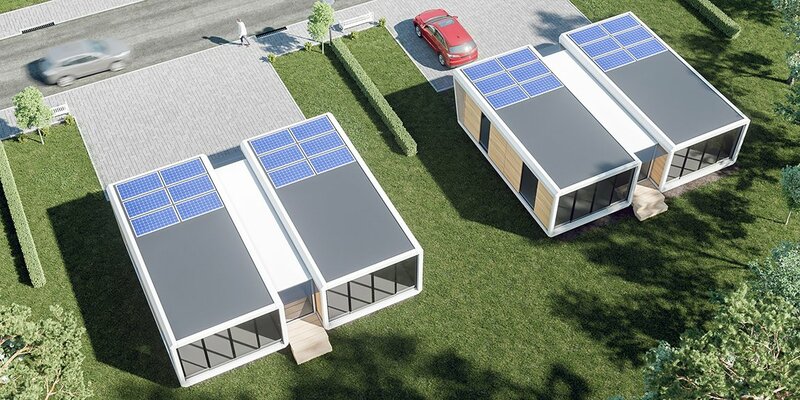 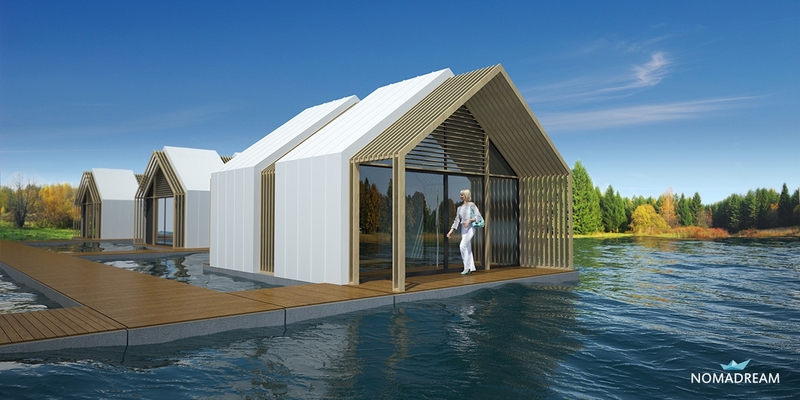 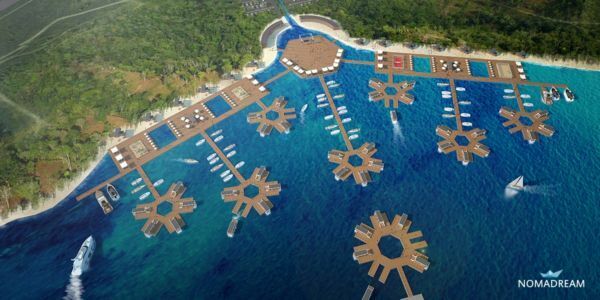 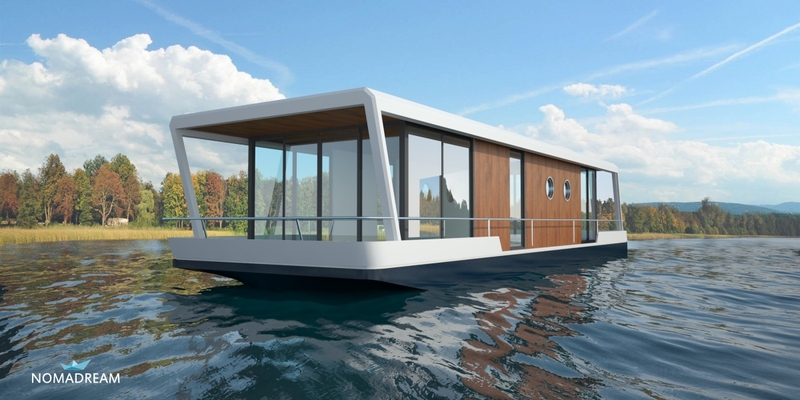 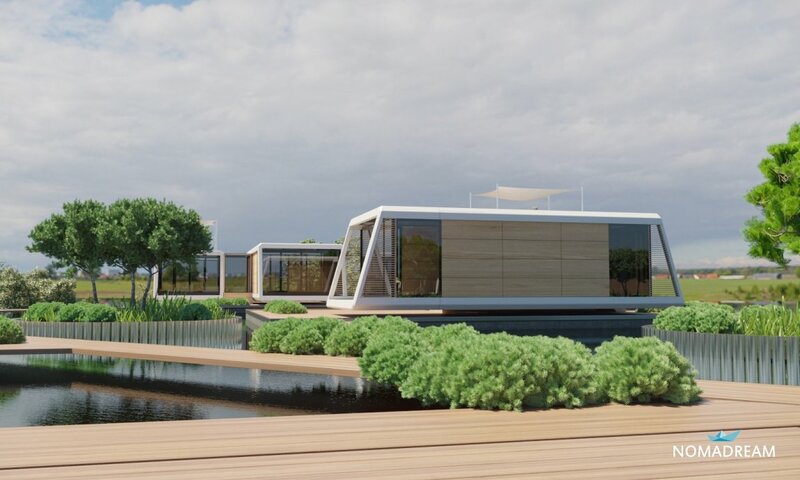 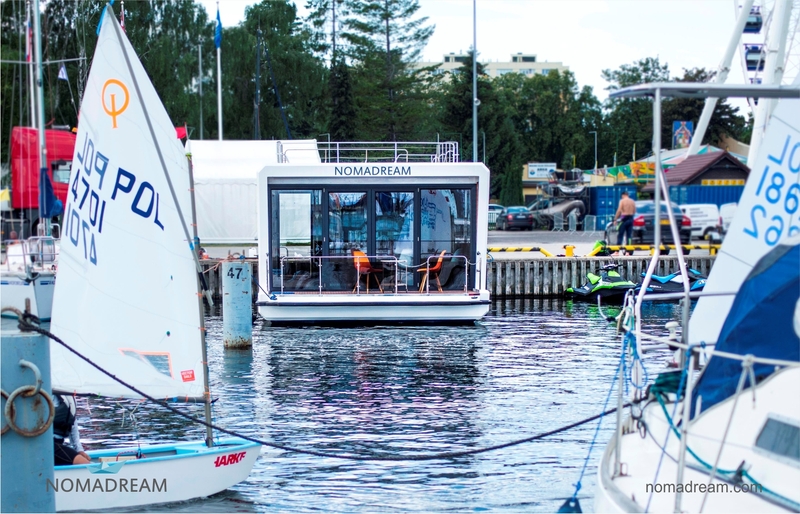 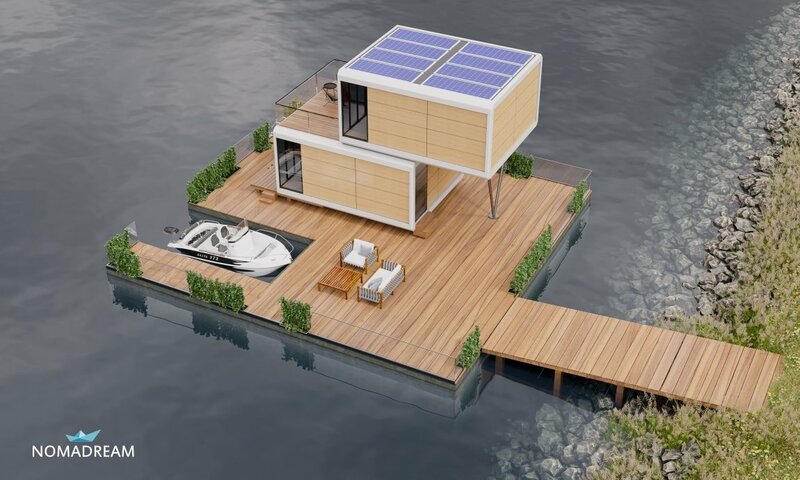 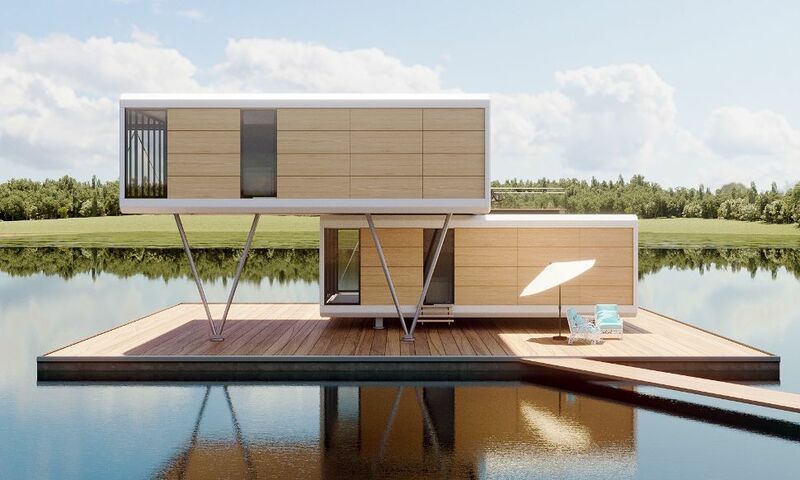 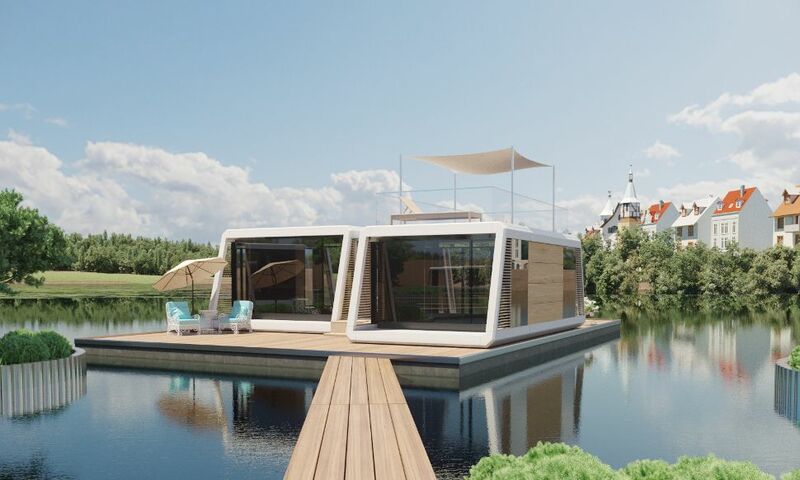 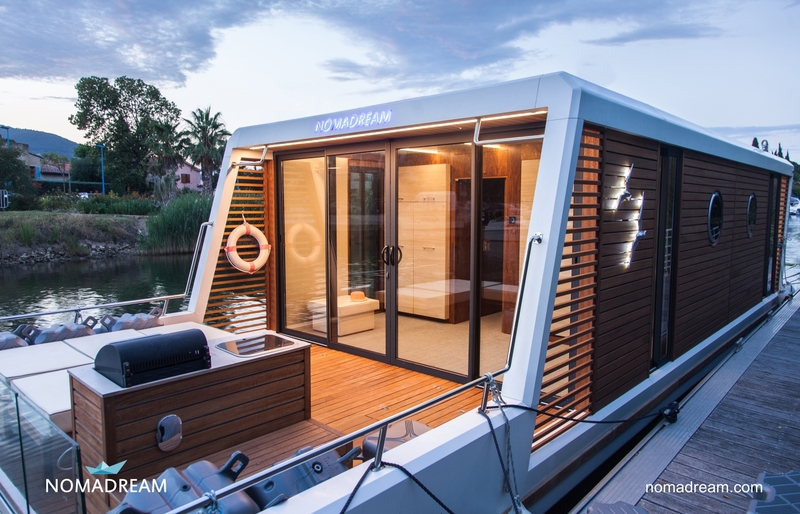 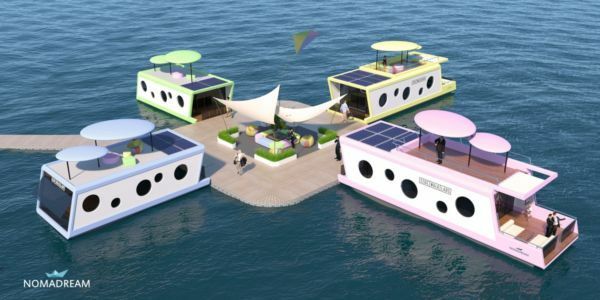 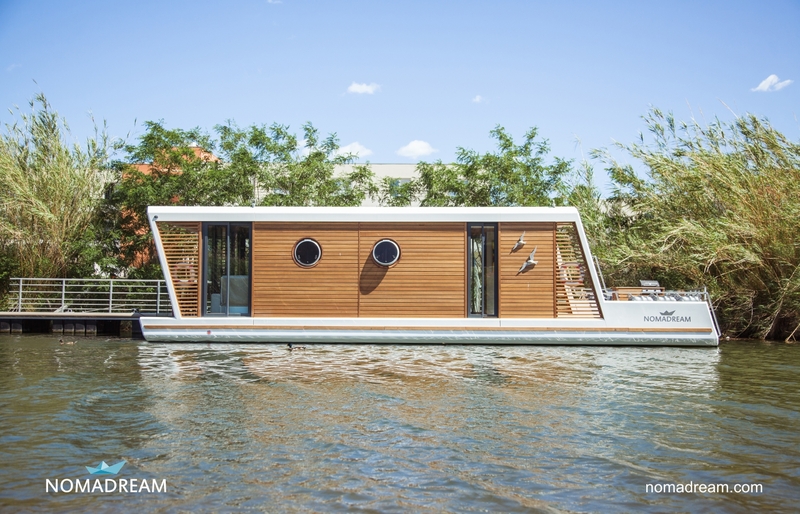 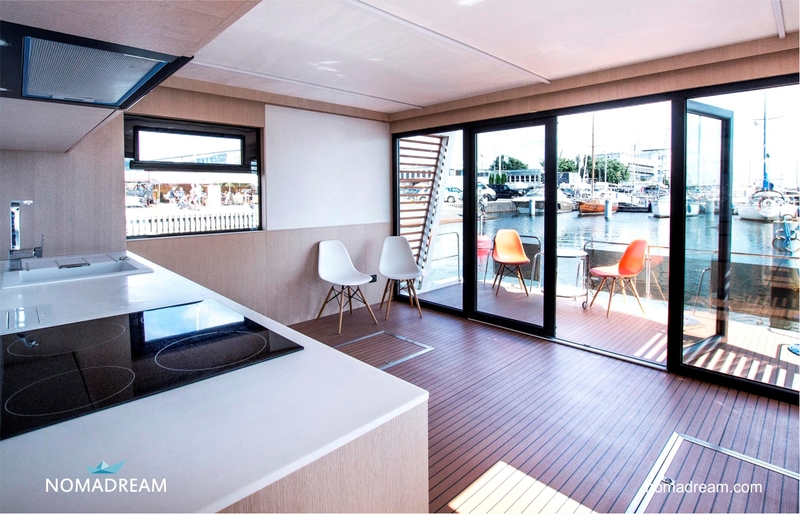 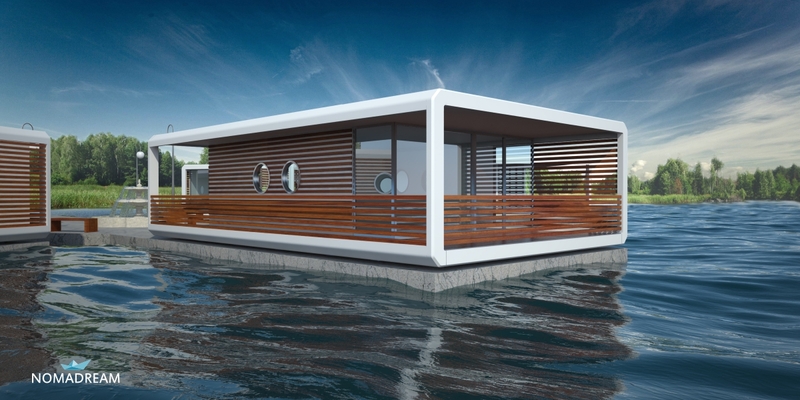 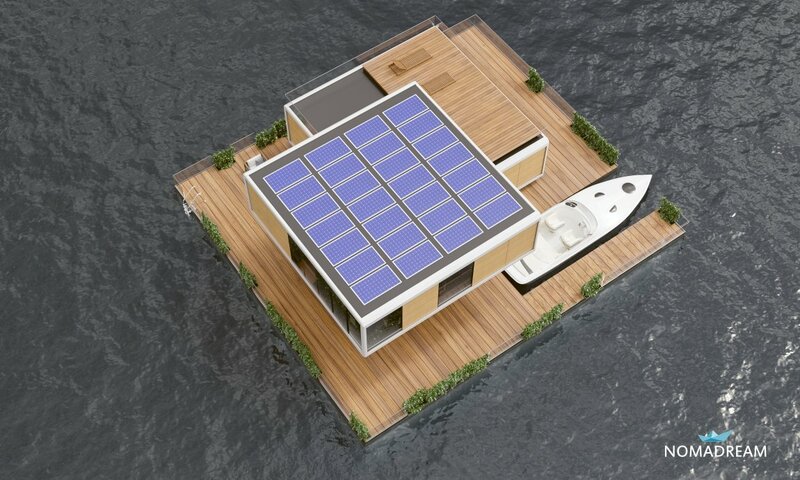 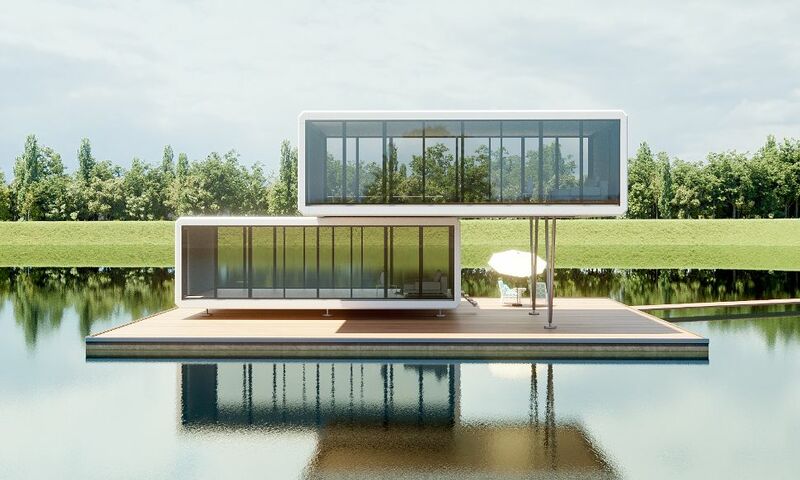 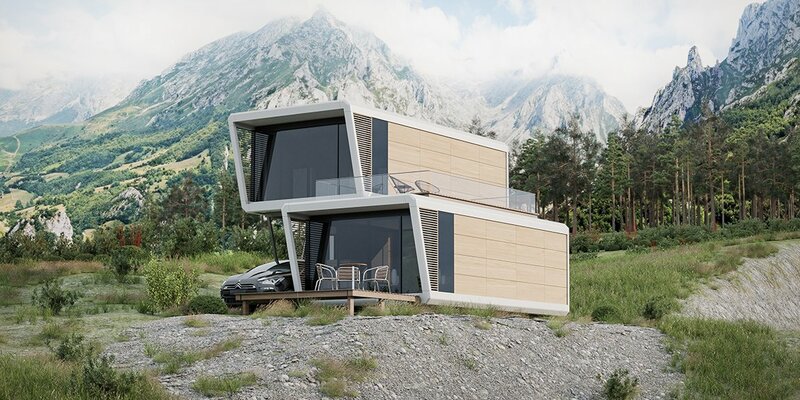 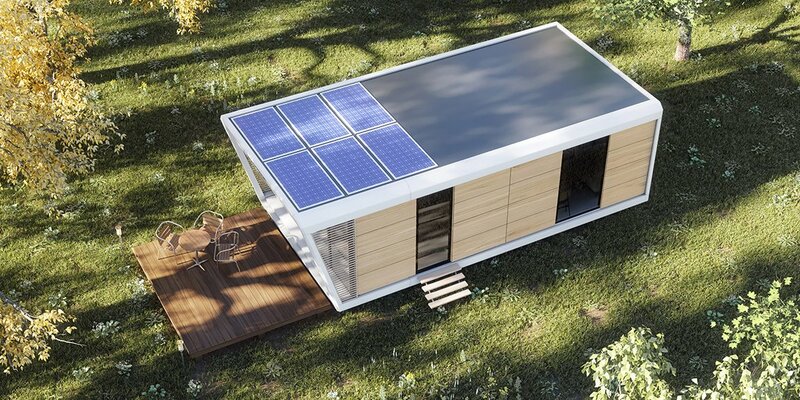 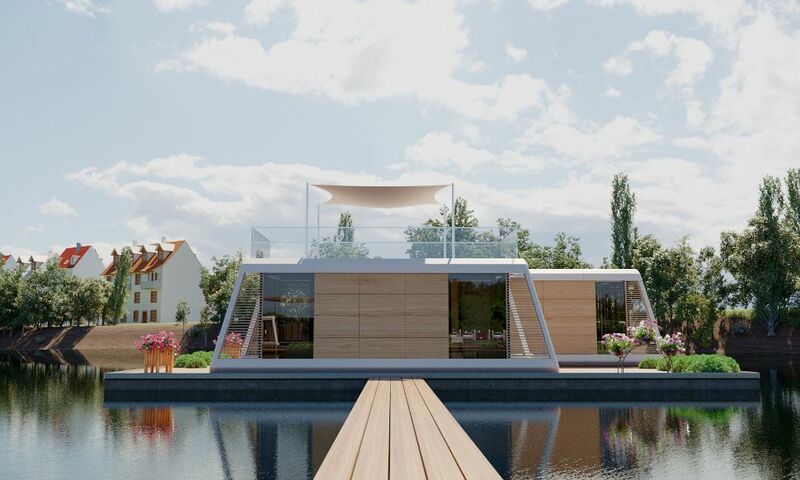 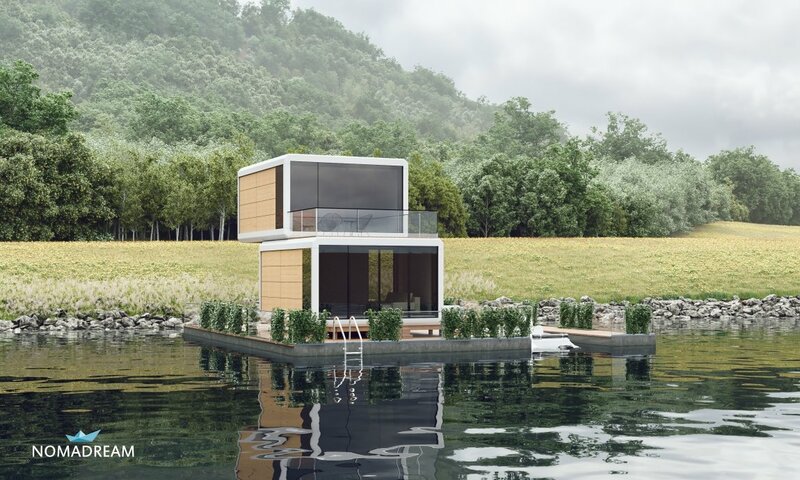 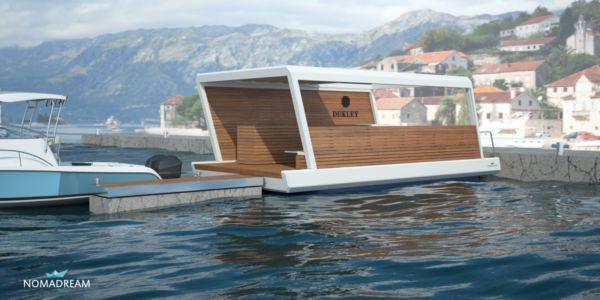 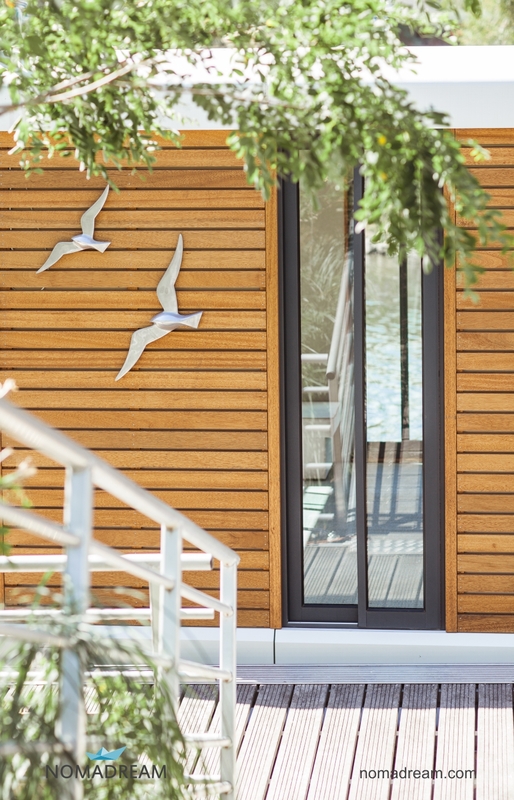 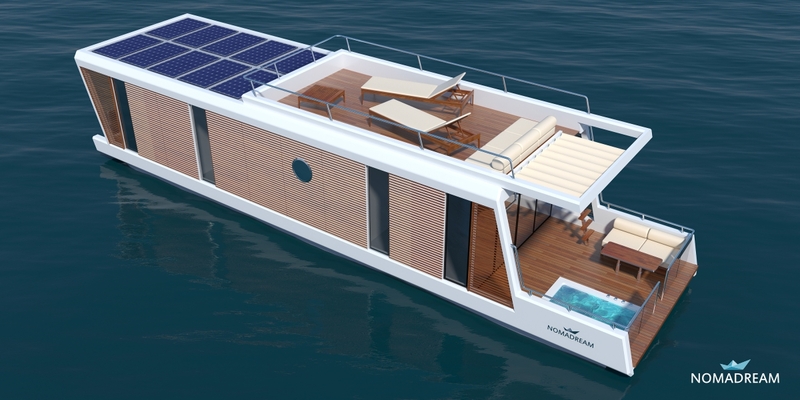 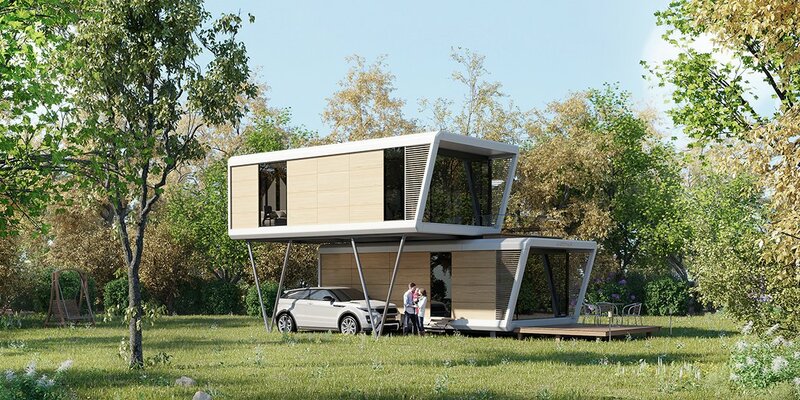 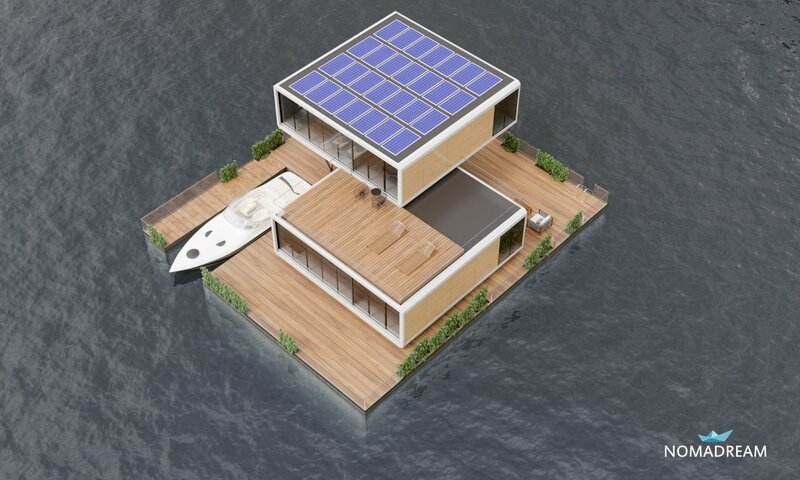 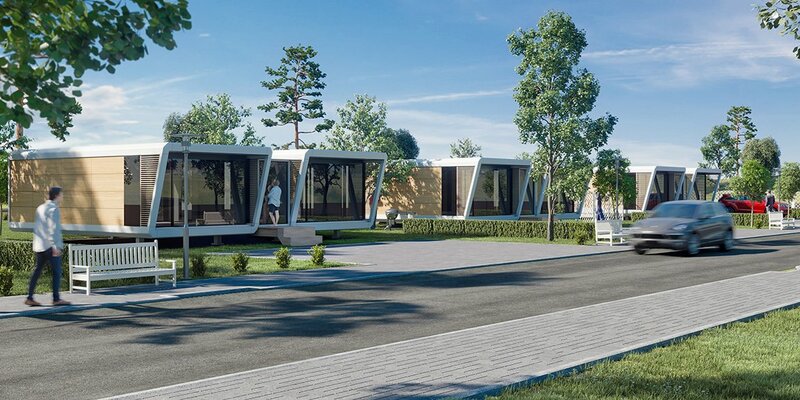 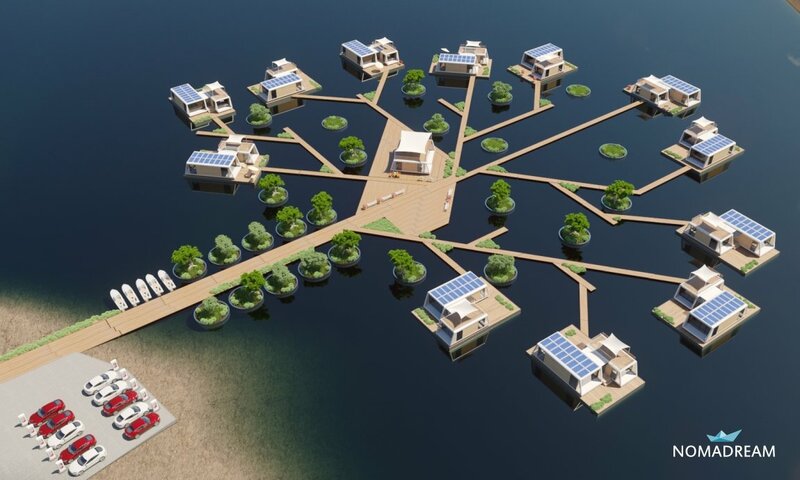 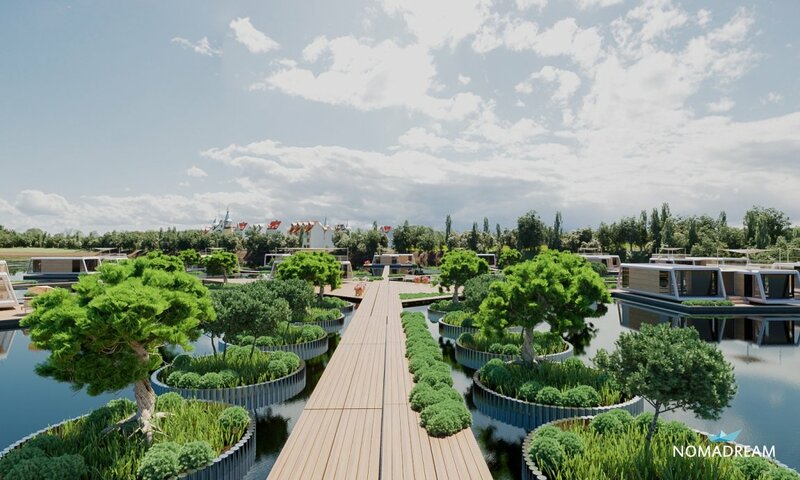 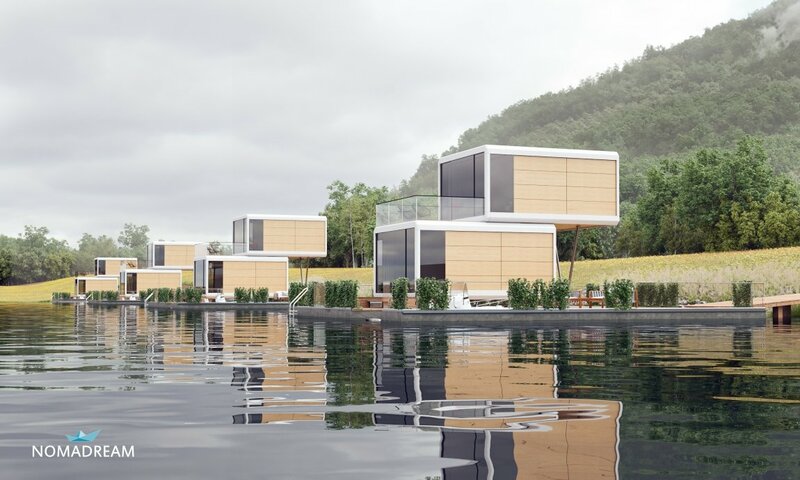 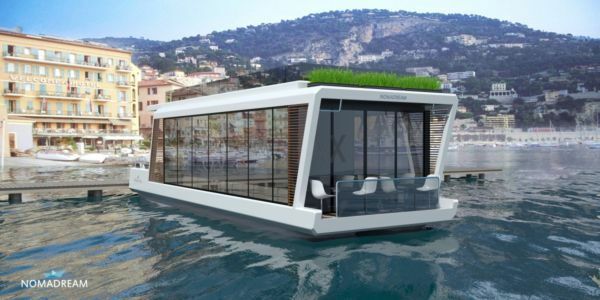 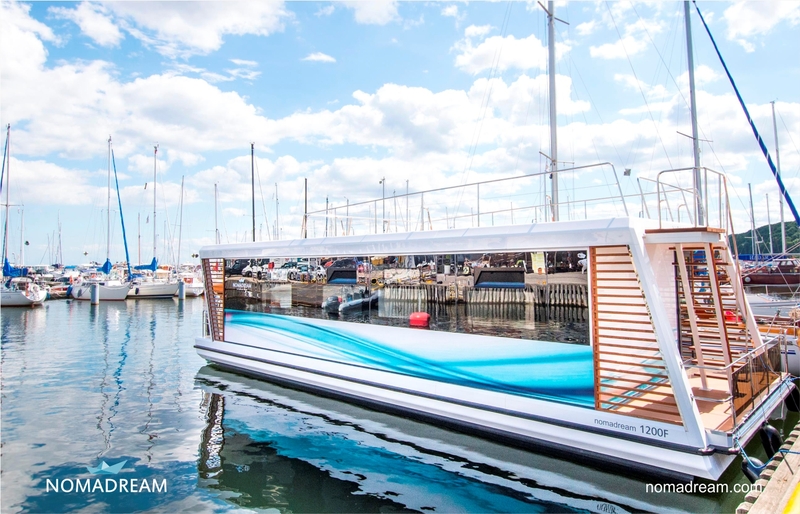 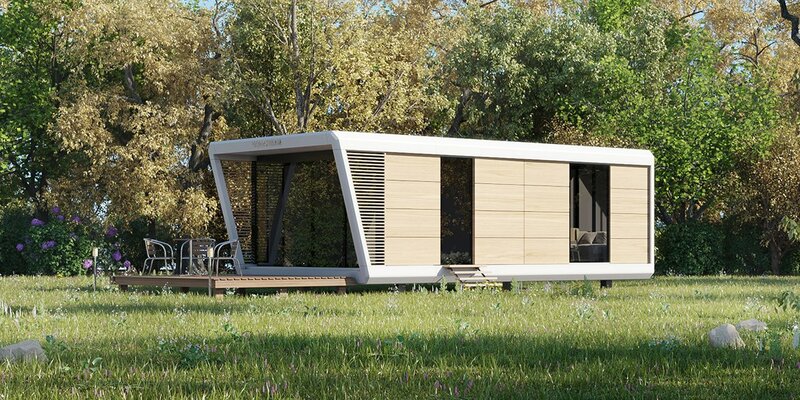 From single units to modular houses of different dimensions, and even floating towns, every Nomadream product combines sophistication, beauty of form and functionality so that you can experience freedom on both water and land. 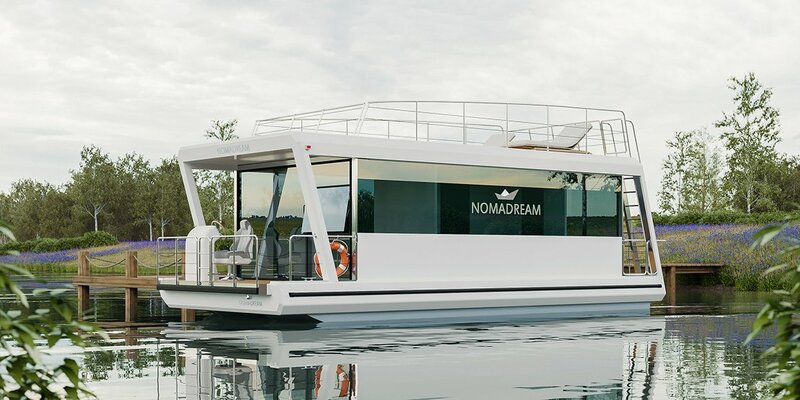 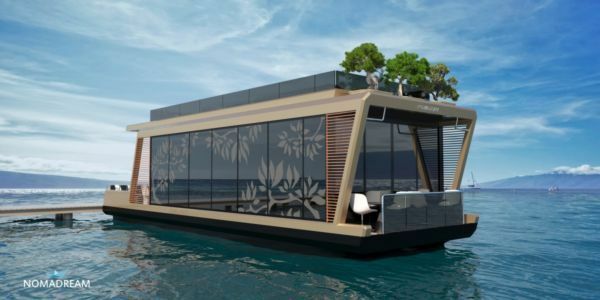 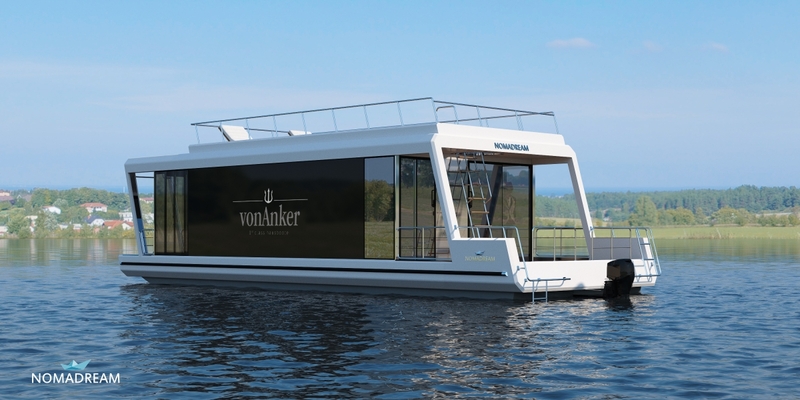 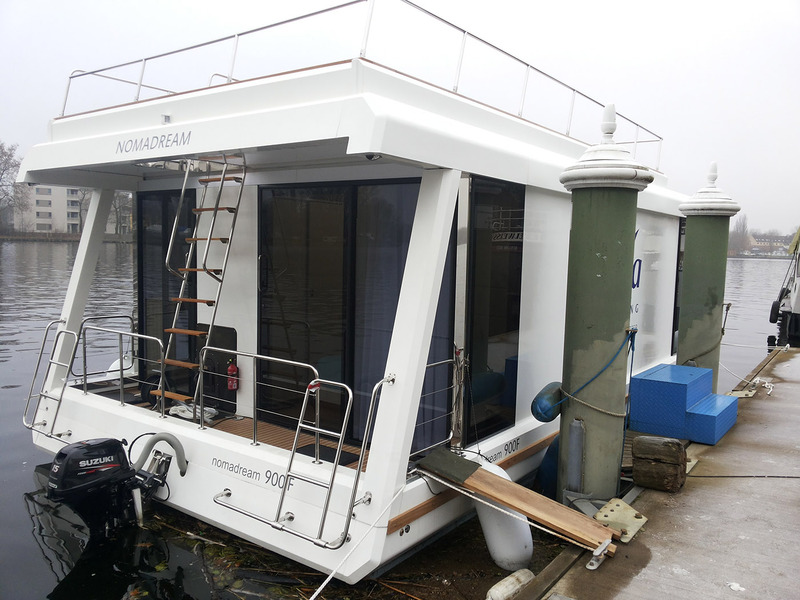 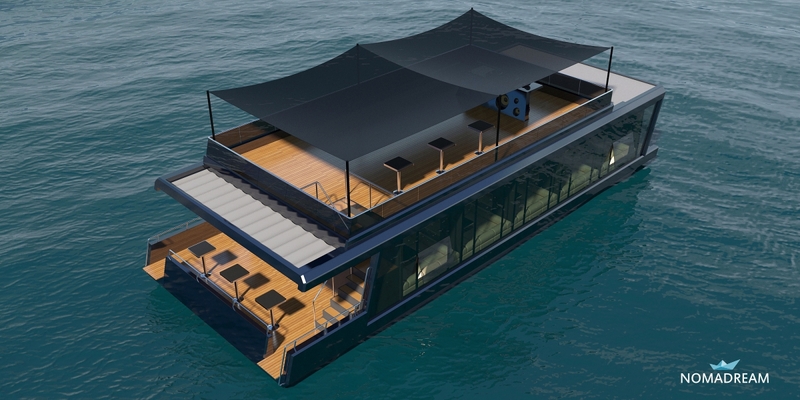 Nomadream houseboats and mobile homes are manufactured according to the restrictive production standards of the yacht industry. 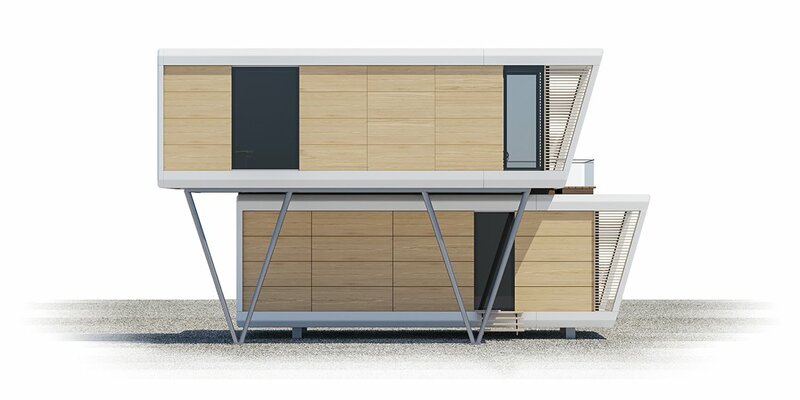 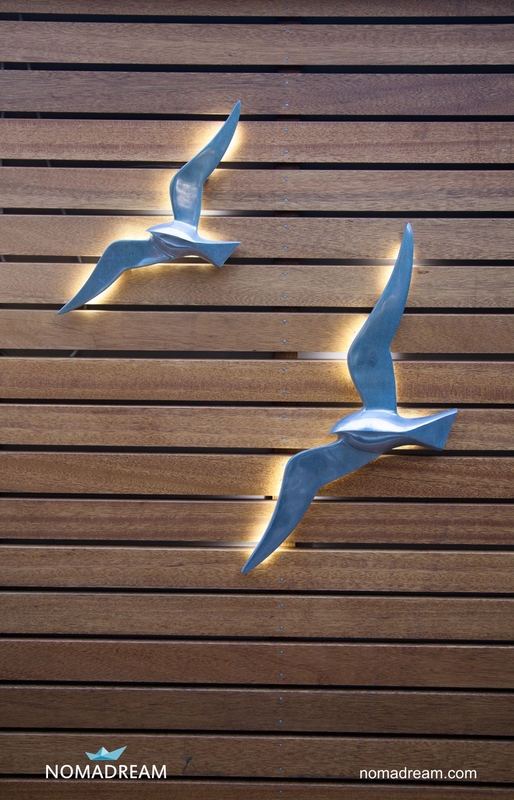 Many years of experience in materials and design allowed us to make most of the available modern resources. 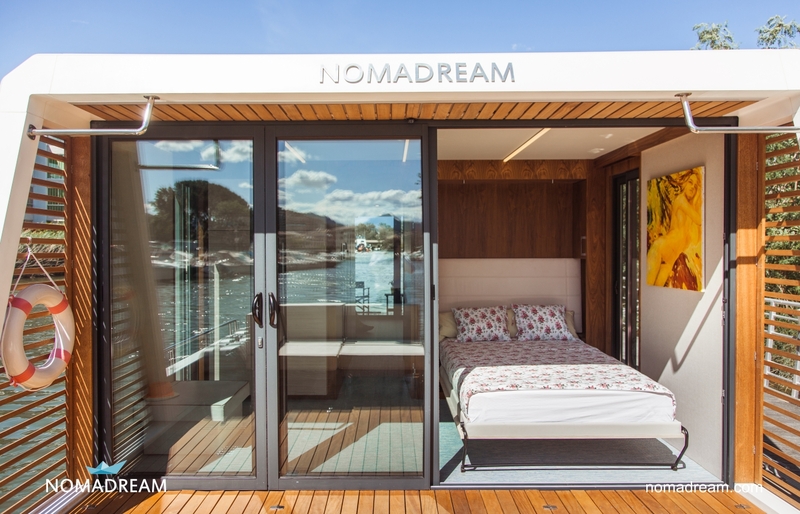 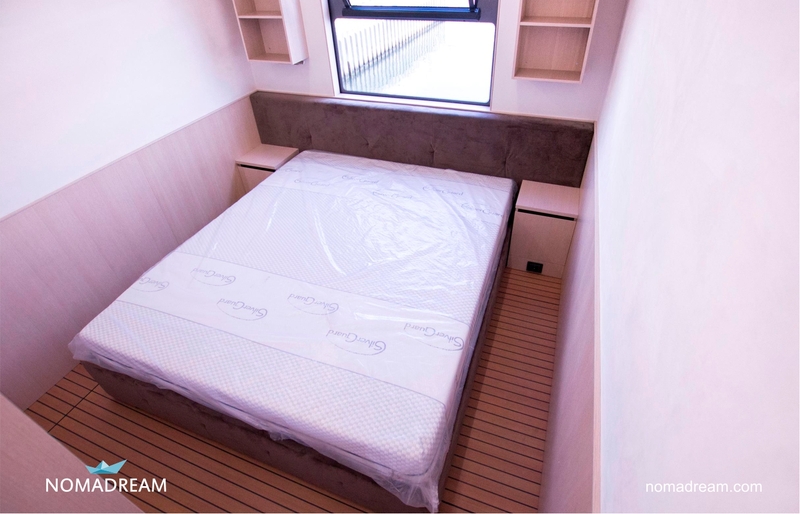 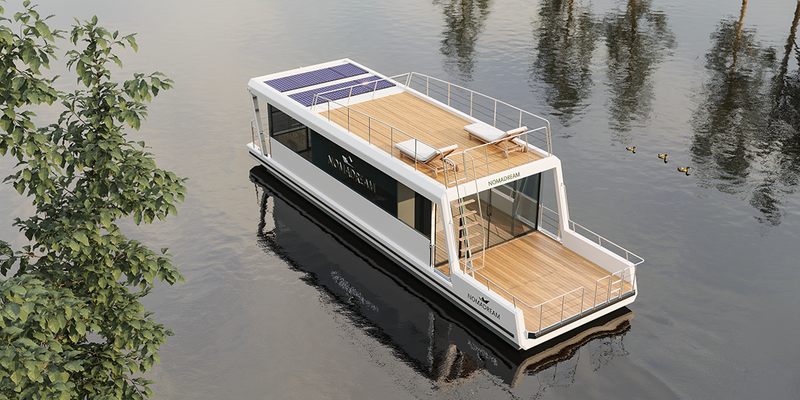 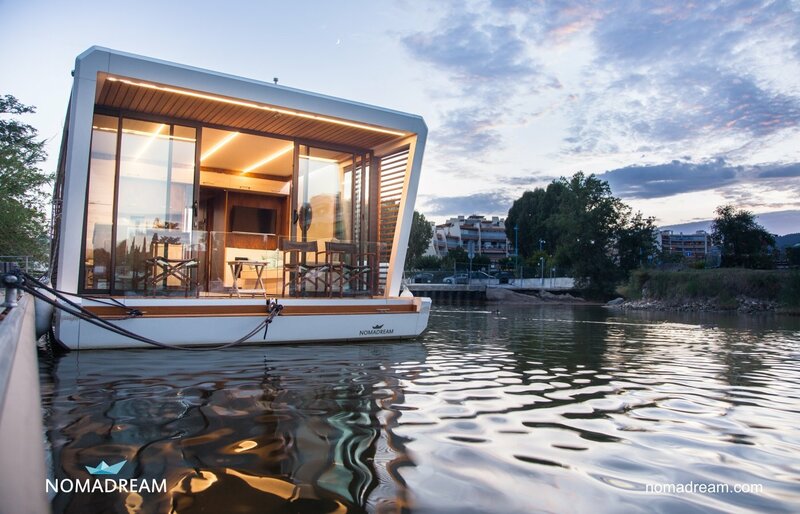 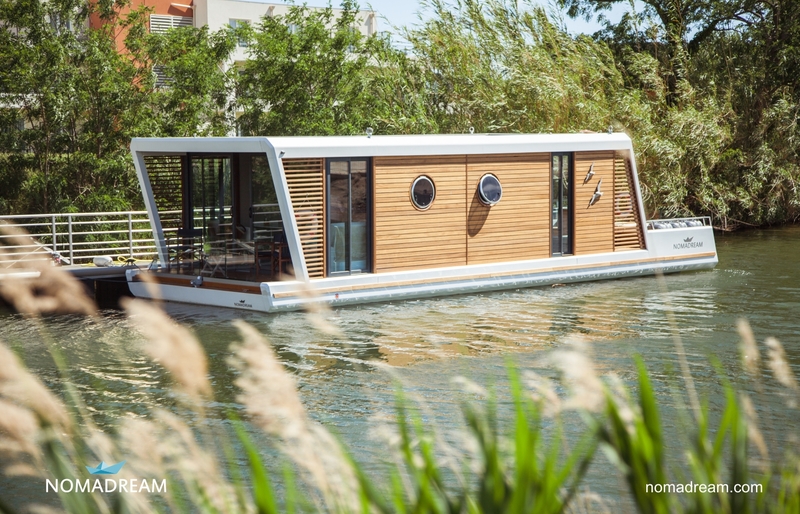 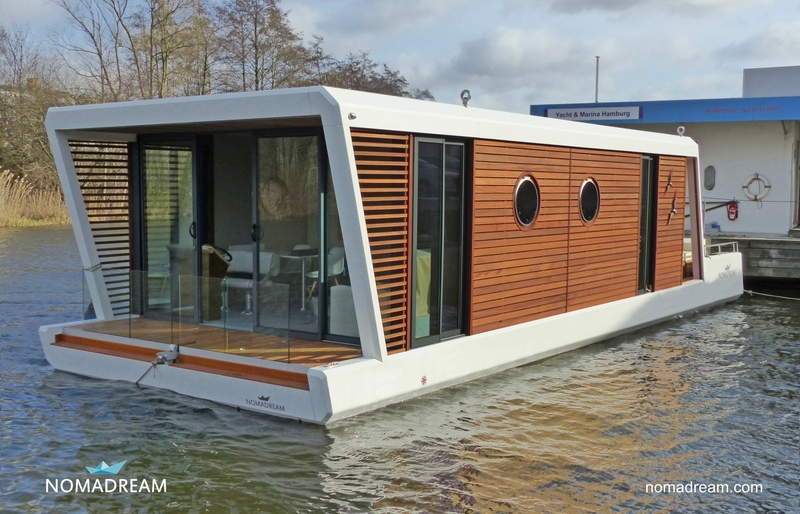 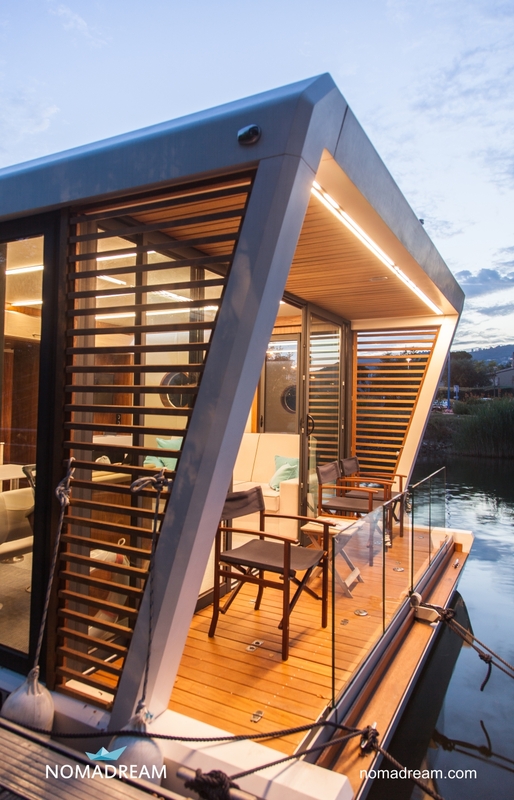 For example: all Nomadream houseboats are based on a foundation of laminate floats that ensure durability even with minimal maintenance. 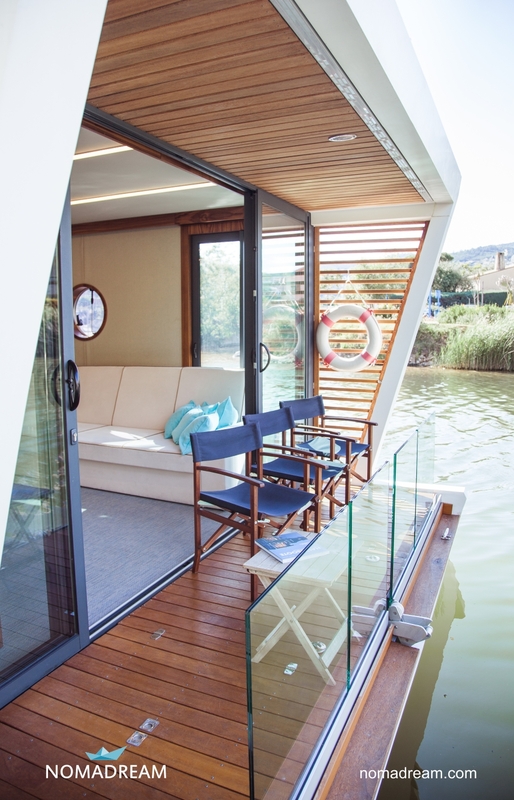 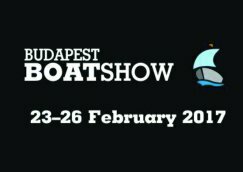 The interior of every houseboat and mobile home is designed by an experienced architect and can be adapted to individual needs. 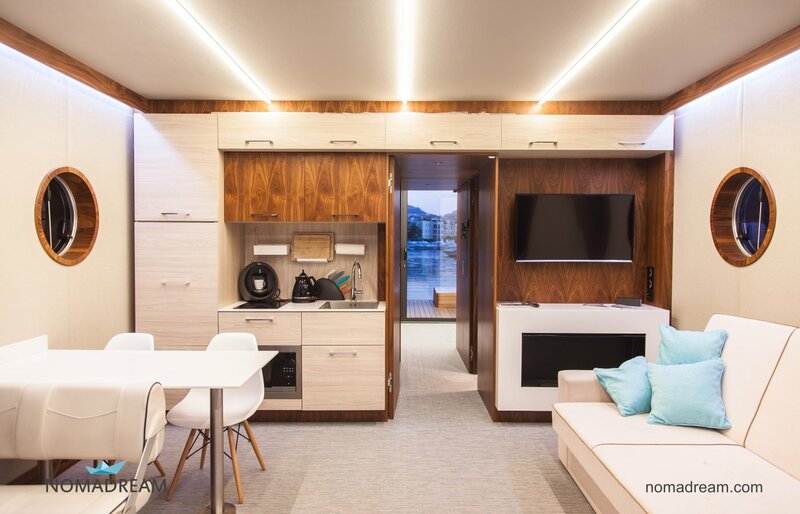 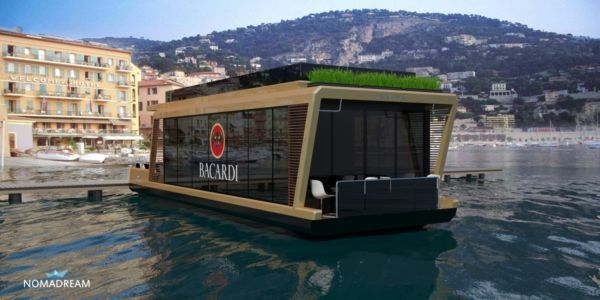 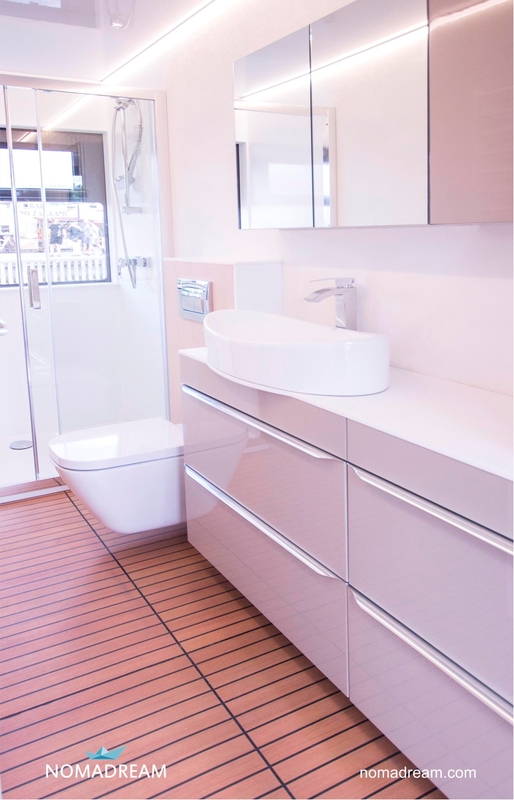 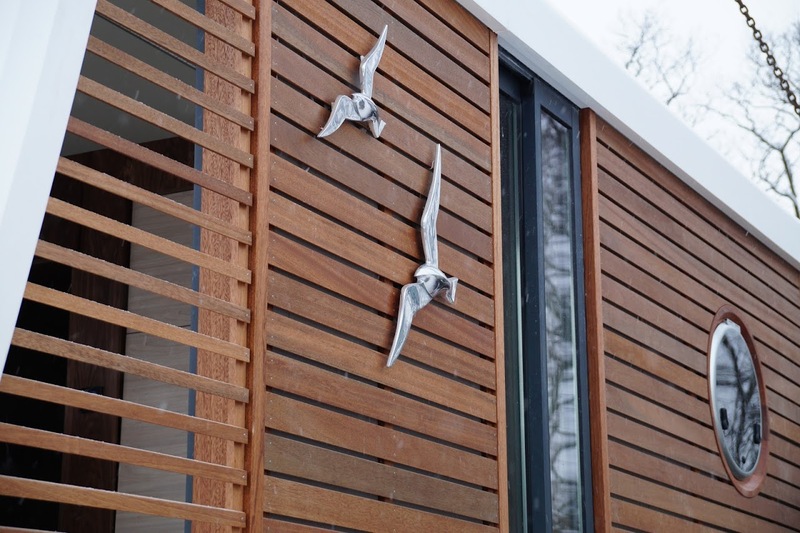 From the open recreational space, through cabins and the galley to bathrooms and lockers every corner of your mobile home or houseboat can be customized, so you can let your imagination run wild. 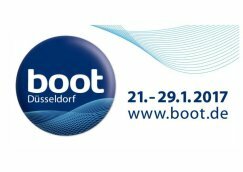 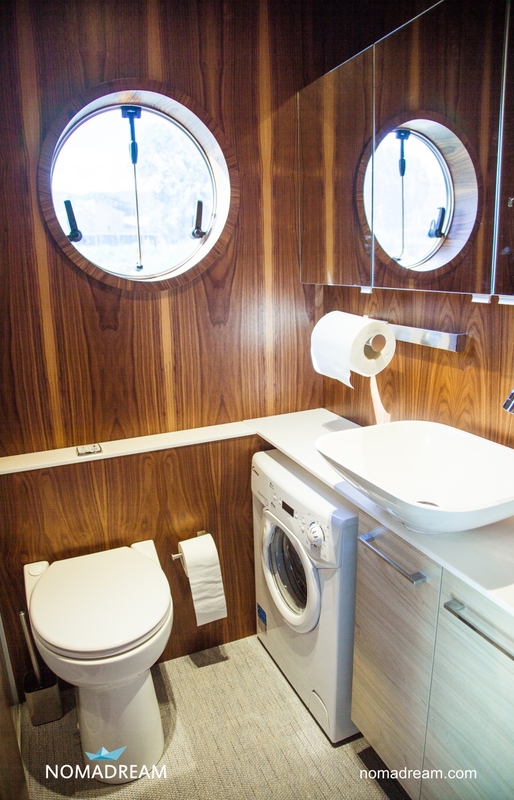 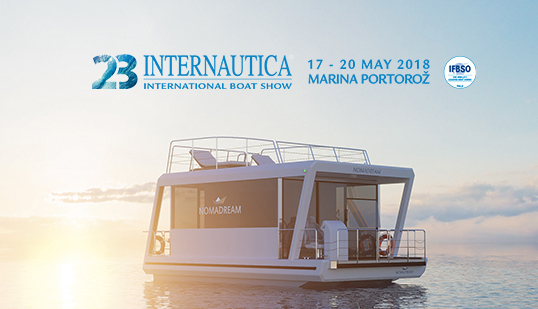 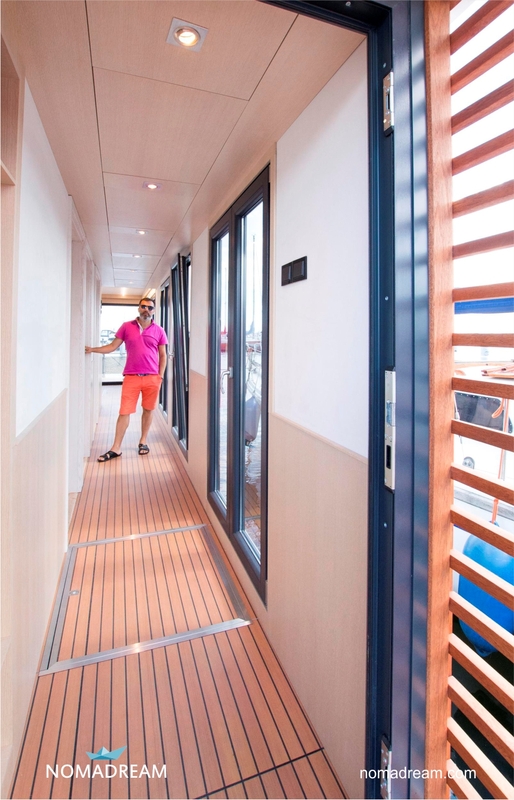 The layout and equipment of the rooms is a combination of home comfort and boat ergonomics. 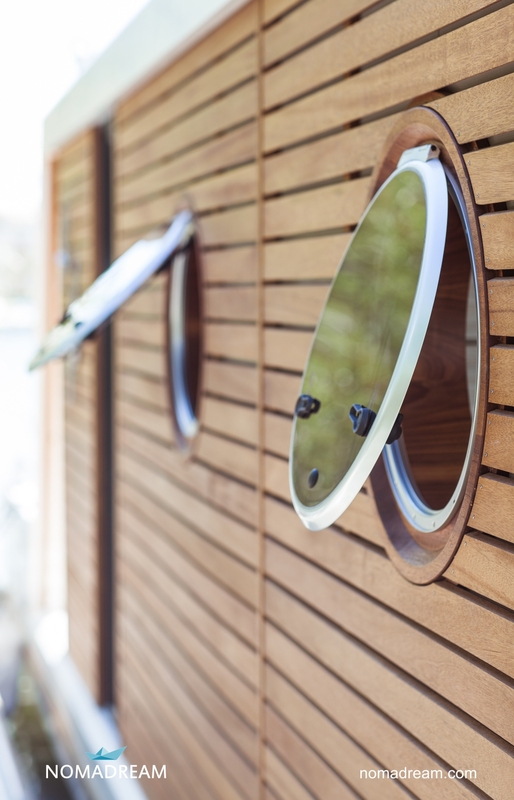 Carefully selected building materials and interior design not only pleases the eye, but also endures prolonged use in harsh environments and is resistant to sunlight, moisture and dirt.